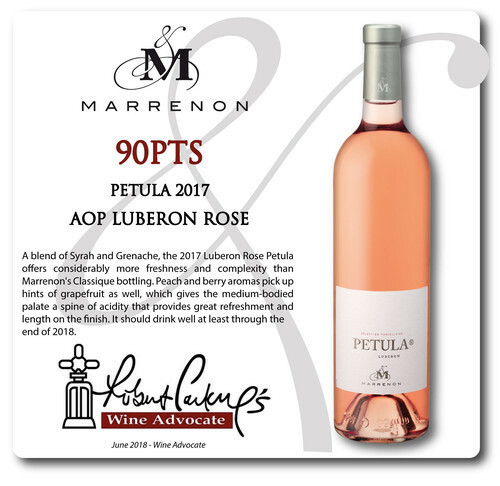 A blend of Syrah and Grenache, the 2017 Luberon Rose Petula offers considerably more freshness and complexity than Marrenon's Classique bottling. Peach and berry aromas pick up hints of grapefruit as well, which gives the medium-bodied palate a spine of acidity that provides great refreshment and length on the finish. It should drink well at least through the end of 2018.